Brainmeasures introduces Six Sigma video lectures. NOTE :- These videos are currently free and more videos will be added on ongoing basis, these videos are not part of Brainmeasures Certification Course Package. Brainmeasures Course package is priced at $USD 99 and consists of Course Material + Certification Exam + Hard copy Certificate and Hard Copy Certificate posting charges. Brainmeasures Online Six Sigma Green Belt certification will give a boost to your career and open up new job avenues, till date millions of people have benefited from our services and are working in leading companies of USA and worldwide. Brainmeasures online six sigma green belt certification course is a 300 page well researched and comprehensive guide to teach you the art, techniques and tools of six sigma green belt training. This e-book is a collection of concepts and selected tools that are important to the mature application and training of six sigma green belt methodology. By the time you finish chapter 1, you will have a better idea of how the information in this online six sigma certification program can help you and your company eliminate waste and serve your customers more effectively. Read testimonials to check what Brainmeasures certified professionals across the world have to say about the content and quality of Brainmeasures Online Six Sigma Green Belt Certification and Course. Brainmeasures also offers a variety of other courses like the Six sigma black belt certification, Six sigma business improvement certification, Six sigma business scorecard certification and others which are all acclaimed courses in their own right. Six Sigma is a business strategy supported by a quality improvement strategy. Six Sigma Green Belt has been labeled as a metric, a methodology, and now, a management system. While green Belts, Green Belts, Master Green Belts, Champions and Sponsors have all had training on Six Sigma as a metric and as a methodology, few have had exposure to Six Sigma as an overall management system. This book is basically composed for the young professionals from any discipline like engineering, management, enterprise resource planning, or software development who want to learn about the six sigma methodology and prepare for Six Sigma Green Belt Certification. Brainmeasures presents its 300 page Online Six Sigma Green Belt Course which leads to Six Sigma Green Belt Certification. It is the BEST Online Six Sigma Green Belt training program available at a very affordable price. Keeping its tradition alive of providing best quality material, that would serve as immediate aid for those interested in knowing six sigma green belt, needless to say that this courseware is attuned to the requirements of all interested readers of SIX SIGMA. This six sigma courseware and certification program is prepared by experienced facility, aims to provide a systematic introduction to six sigma green belt and attempts to strike a balance between theory and research findings. The emphasis on theory is balanced by detailed consideration of the findings of empirical studies. 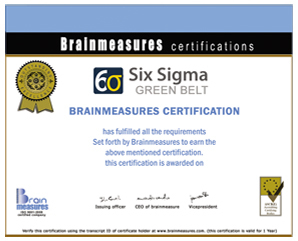 Brainmeasures six sigma green belt courseware and certification is a complete information portal and A-Z guide that will help you learn all the necessary tools and techniques to master six sigma methodology. Following are some important aspects of the Brainmeasures online course which has made it unique for Six Sigma Green Belt certification preparation and training. This six sigma course and certification program not only discusses both the philosophy and methodology behind six sigma but also its real life implementation. thorough understanding of the methodology and exactly where and why it should be used. last decade in the course of our training and consulting activities in industry. Brainmeasures certification exam is based on multiple choice question format (each question has 3 to 4 answer options and you have to have to choose one or more right answer option).All questions of final certification exam will be based on Brainmeasures Six Sigma Green Belt Certification course. 1. If six sigma had a mean at the middle, what would the % of total population be in normal distribution? 3. Management and start-up of six sigma needs some type of support for the shareholders. What is used for this support? 4. 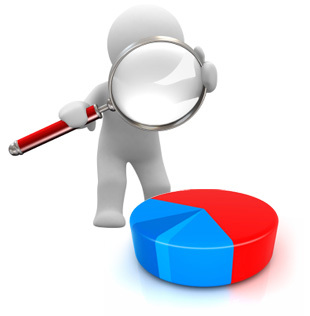 Trend and _________ charts aid in discovering new patterns and are tools of improvement. 5. To find out the amount of variations that exists in a set of data which tool would you use? 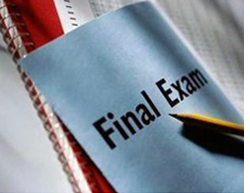 Final six sigma certification exam consists of multiple choice questions with one or more right answer options. Final exam is based on Brainmeasures six sigma green belt courseware, if you have thoroughly gone through the courseware you won’t face any problem in clearing the Six Sigma Green Belt certification exam. How can I become Six Sigma Green Belt Certified Professional? As soon as you pay for this course you will be given access to the Brainmeasures online six sigma green belt course (leading to certification). Go through the online six sigma course it will take from 15 days to a month to study the whole material, it entirely depends on your dedication and hard work. 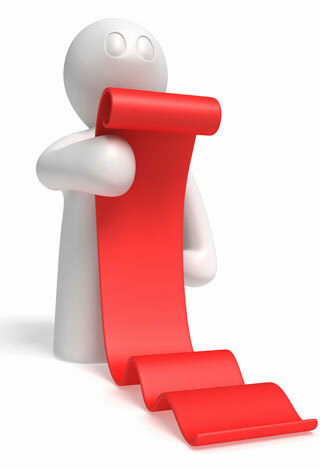 Real time data is provided to give a clear understanding of the concepts of six sigma. and course more attractive to the readers. Brainmeasures Online Six Sigma Green Belt certification has the most competitive prices across the industry; at $USD 99, this price includes both course and certification fee. 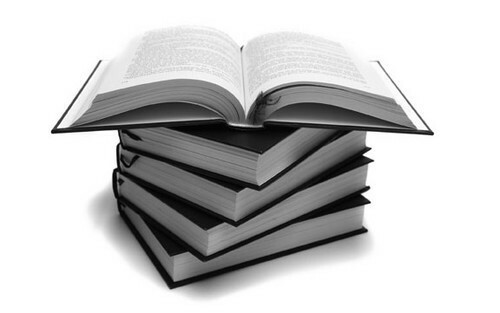 It is a perfect combination of intensive and extensive knowledge on the subject. Designed by experienced faculty, it is complete guide and touches each and every aspect of the subject and will help you master six sigma tools and techniques with perfection. It is not very hard for Six Sigma Green Belt Certification Certified Professionals to find a job, simply type the word “six sigma” on any job portal and you can see thousands of job listings. Job prospects for Six Sigma Green Belt Certification Certified Professionals are bright both within and outside the organization as many companies are planning to introduce six sigma within their organization. With companies hiring Six Sigma Green Belt Certification Certified Professionals more than ever, there is no dearth of jobs available with some of the best companies. Many qualified Six Sigma Certified professionals that also have extensive experience also have the option of opening their own consultancies. You can enroll in Brainmeasures online six sigma green belt course any time of year and you can complete your course within one year of your enrolment. You will get access to your course as soon as your payment is processed. Testimonials of Brainmeasures Certified Six Sigma Professionals. Where certified Brainmeasures Six Sigma Certified Professionals are working. Six Sigma Green Belt Certification course is basically composed for the young professionals from any discipline like engineering, management, enterprise resource planning, or software development who want to learn about the six sigma methodology and prepare for six sigma Black belt certification. Reviewed by Jon Sodano on March 27 . I'm a Quality Engineer, and a statistician at heart. I used to be inspired by belt owing managers and the many consultants around, who have probably done a very good job in the past. I love statistics and fact based reasoning. However, I often see managers and consultants claim that Six-Sigma is driving almost any problem for solutions and can be used driving reliability or even safety engineering. I actually used to be inspired by it, six sigma solve problems quickly. Regarding the statistical side of Six Sigma, a little bit of knowledge is a very dangerous thing. Even the best Black-belts struggle with computation of sampling plans, control limits, and interpretation of control charts. I recommend employee should be six sigma certified from reputed certification companies for the best result. Our Six Sigma Green Belt Certification tests and course material are prepared under strict ISO guidelines by experienced professionals who have years of experience in their respective fields. Each course and test prepared goes under several rounds of content analysis and proof reading, so that we can deliver best quality tests and course contents. Why Brainmeasures six sigma Green Belt Certification course available at such an affordable price? Brainmeasures (an ISO 9001-2008 certified company) offers its six sigma green belt course material (leading to certification exam ) developed by expert managers at very affordable price only for limited time span and soon its prices will be reviewed. Current count of course taken cnt..
• How do we measure quality for a transaction or service? • Applying six-sigma methodology to improve an existing process or product follows a five-phase process. • What is Lean Six Sigma? Director, leading graphic design firm. I am so glad I found the brainmeasures six sigma black belt certification course. Our company was taking a new direction with management, especially with new projects, and if I hadn’t gotten on board and shown an advantage with my new skills, I think I would have been left in the dust. This was easy, fast and actually enjoyable. With so many of our projects not meeting deadlines, I didn’t know what to do to get more efficient teams together and have projects meet deadlines at long last. My friend recommended a six sigma certification course for my project staff, and thanks to brainmeasures, it was fast and easy. Now our projects are meeting or beating deadlines like never before. I was having trouble getting promoted to management, despite having been with this company for ten years. I wanted to advance, I’m not greedy I just wanted a more fulfilling career. I found this six sigma black belt online course at brainmeasures. It didn’t take me long to do, and it was easy. 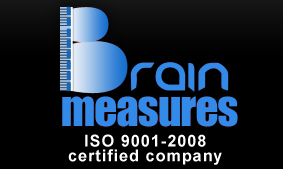 Thanks brainmeasures, with this certification, I’ll be moving into a new office next month. Now a project head for a web design firm. The job market was really bad and I thought I was never going to find another job. But, after I took this six sigma online balck belt course at brainmeasures, I found a job quickly, and in management! Thank you brainmeasures, I thought I was going to lose everything before I found you guys. I didn’t know what to do about the disputes, lost work hours and back stepping all of our projects endlessly had. Then, looking online, I found the six sigma green belt course at brainmeasures, and figured out the solution to our problems. The new project management techniques this provided showed me how to fix myself, which was the problem ultimately. Developing all the new features and maintaining new stuff on our site proved harder to do than it should’ve, and I wasn’t sure why my team was struggling so much. But then I realized, maybe I have good ideas but my management skills could use some work. After taking the brainmeasures six sigma green belt course, it turns out I was right. Now we’re staying on track. It seemed like we were always encountering trouble getting our prototypes out and ready on time, because of inner struggles with workload and personnel. I originally thought I had a faulty team, but according to the six sigma green belt course that I took at brainmeasures, the problem was my management, not my workers. Now, with a better improved manager, they’re all performing admirably! 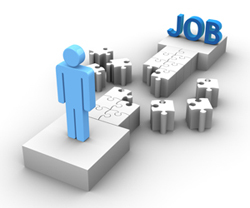 Lead Architect, leading structural design firm. Our work is dangerous, because even if our designs conform to code, there are still any number of things that if not taken into consideration, could cost lives or at the least millions of dollars of damages. So, instead of always living in fear that I’m misdirecting my designers, I took the six sigma green belt course at brainmeasures, and now I’m confident in my skills as a leader. Thank you brainmeasures. Mobile Phone marketing director, cell phone service provider. We always had disasters in advertising, though the public never seems to notice the problems in the polished ad campaigns. But, we needed to reach people better, and instead of replacing our valued advertising staff, we looked into the six sigma green belt course, which gave us the management skills to get the most out of our people, and still have a happy united team. I recommend this to anyone in my situation, without hesitation.